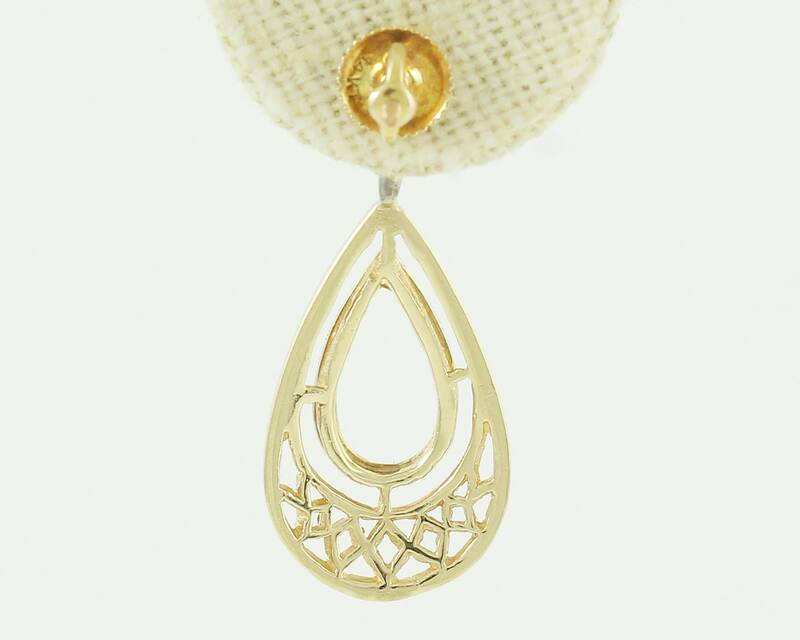 Vintage 14K Filigree Dangle Earrings of 14K Yellow and White Gold. 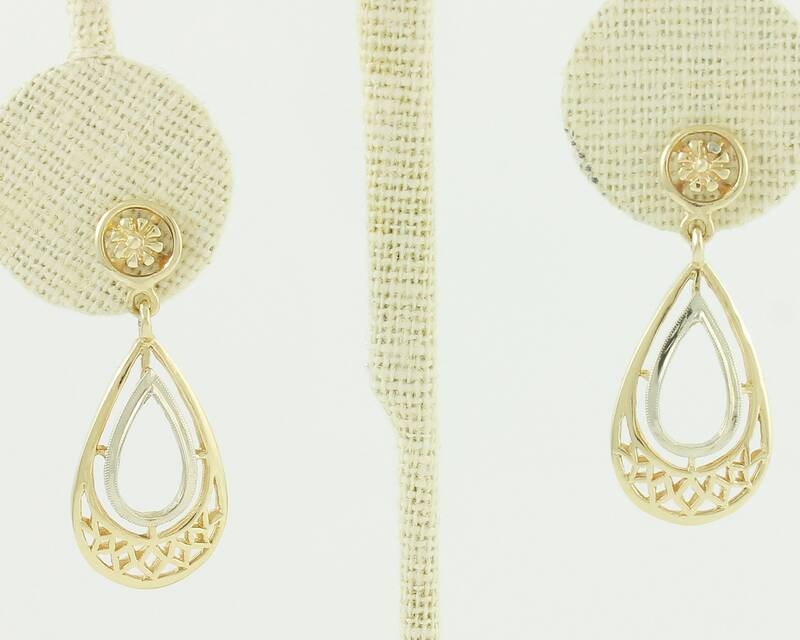 Each of these pierced earrings features a long geometric filigree teardrop suspended from a flower stud. 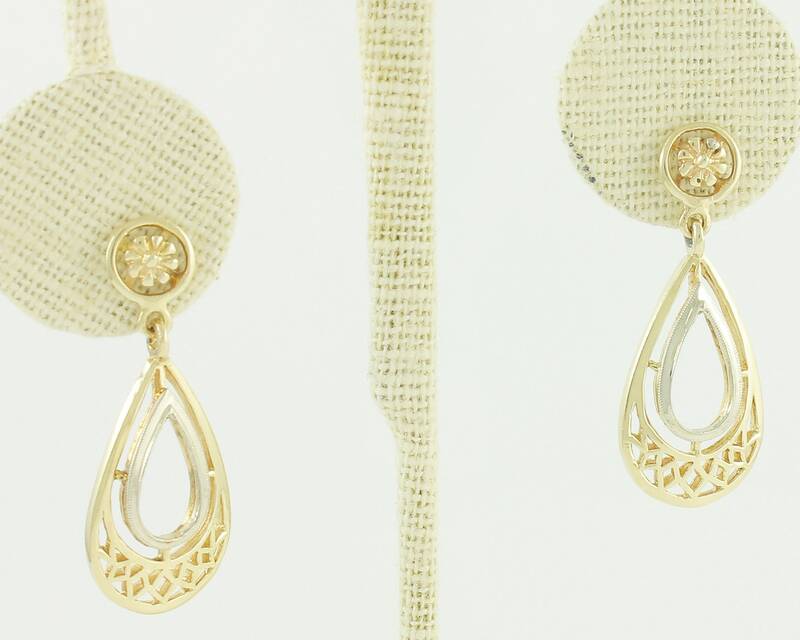 A white gold open teardrop rests at the center of each yellow gold earring. The earrings are finished with secure screw posts and nuts for pierced ears.